"Great Source." "Rigorous evaluation process." "Over 9250 firms analyzed." See how your current agency measures up. Review metrics on your agency in comparison to those ranked by us. 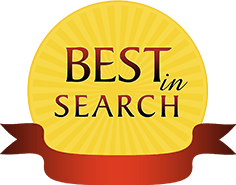 Find a SEO company that always produces incredible results. Find a PPC company that can lower your cost per acquisition. View the best SEO services for budgets over $50,000/month. View the best PPC companies for budgets of over $100k/month. Tell us about your internet marketing project below. Your request will be reviewed by our team. We will connect you with three vendors. Comprehensive Methodology & Analysis Reach the right audience by hiring an experienced and trusted Search vendor. Mobile app development companies assist their clients by providing them with a customized mobile application based on the types of products or services they are providing to their customers across a number of different mobile platforms. Each of these web design companies specialize in building a unique online presence for their clients. Professional web design services cater towards businesses looking to leave a strong and positive first impression with potential customers. Professional web development companies are able to build high performance platforms and features into a website. Businesses looking for a feature or function specific to their product or service can count on professional web developers. Local SEO services cater specifically towards businesses which are trying to reach potential buyers within a particular area. For businesses where the physical aspect plays an important role, local SEO can help bring more foot traffic.